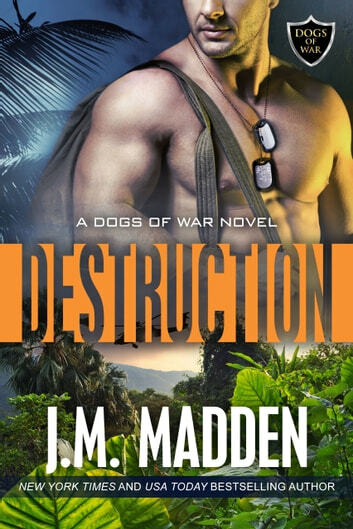 Going back into the torture camp where he’d been so brutally abused is the last thing Navy SEAL Drake Fontana wants to do, but if there are other men being experimented upon he has to be the one to get them out. And he has to give them an option other than to be test subjects for the Silverstone Collaborative, the pharmaceutical company carrying out the diabolical experiments. If he had his way, Fontana would go in alone, but he’s assigned a team of retired, disabled military from the Lost and Found group. They all have strengths, but he hates being responsible for their safety. The most vital of the team is Jordyn Madeira. Scarred, the woman has fire in her blood and her heart, and she has contacts in the Amazon he could never find on his own. More than that, though, Jordyn holds an immediate, dangerous attraction for Fontana. As the team crosses the jungle finding research camps and searching for survivors, he realizes that she is what his heart has always been longing for. Home. But Fontana has always had to fight for everything he’s gotten in life, and Jordan’s damaged heart will be no different. Fontana is my favorite Dog! As we catch up with the Dogs of War and LNF Fontana is ready to lead a group of warriors to find any survivors left at any of the suspected camps full of terror and torture. As a team is created we meet some amazing members of the LNF family and one of the most important is the helicopter pilot, Jordyn Madeira. Without her expertise and connections Fontana knows they cannot move on to the next part of their plan to take down the Silverstone Collaborative. What follows throughout this books is an action packed and emotional ride that will leave you unable to anything but read until you get to the conclusion. J.M. Madden has written a fantastic second book in this series and has taken Drake Fontana and given him a story that will make you cry, smile, and know that this character got his perfect match and the HEA he deserved. Next we will get Wulfe’s story. If you haven’t caught up with the Dogs of War yet you need to do it now! Loved this book! The characters are engaging and draw you into their lives; the action is compelling and makes you read until the end to find out how situations will be resolved. Fontana and Madeira make a great couple -- both damaged in some way but completing each other. I voluntarily read an advanced reader copy of this book and thoroughly enjoyed every moment.